Charles was born 27 October 1877 (birth certificate number 1877/14527) in Te Kopuru in the northern Kaipara region. Not much is known of his childhood other than we could expect it to be much the same as other children at the time in Auckland follow his parents move there. 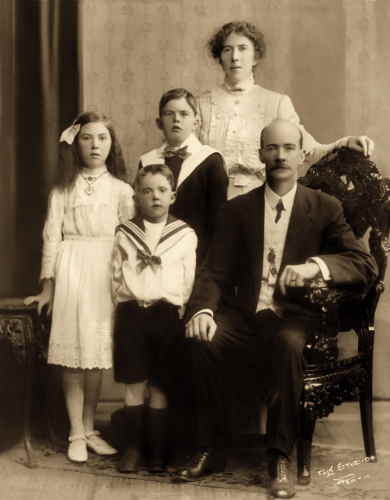 The Parker Family – Charles, Amy with their children Ernest, Iris and John. The first record we have of Charles is from the Electoral roll from 1900, at the age of 23 he is listed as a clerk and living on College Road. At some stage between 1900 and 1902 he moves to Western Australia – no details found. PARKER-ALLEN On October 1, 1902 Charles Clark Parker, eldest son of John James Parker, Nelson Street, Auckland, to Miss Amy Allen, only daughter of Mr and Mrs Thomas Allen, late of Adelaide and Broken Hill, by Rev. W. Burridge, Fremantle Wesley Church, Fremantle, West Australia. In 1903 we have him living in Johnson Street in Buckland Hill, Fremantle and listed as an accountant. 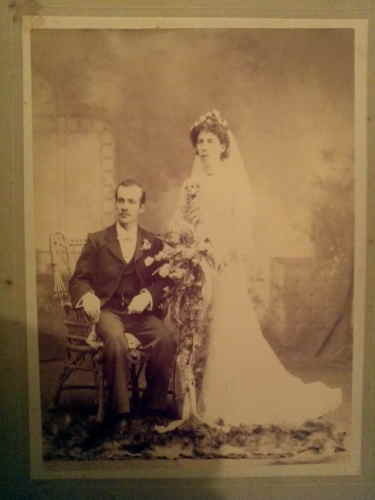 Charles and Amy’s Wedding photo 1902. PARKER – On Thursday, January 23, 1904, at “Westholme,” Johnston Street, Cottesloe, West Australia, the wife of Charles Clark Parker of a daughter. Both splendid. PARKER – On Thursday, September 28, 1905, at “Westholme,” Johnston Street, Cottesloe, the wife of Charles Clark Parker of a son. 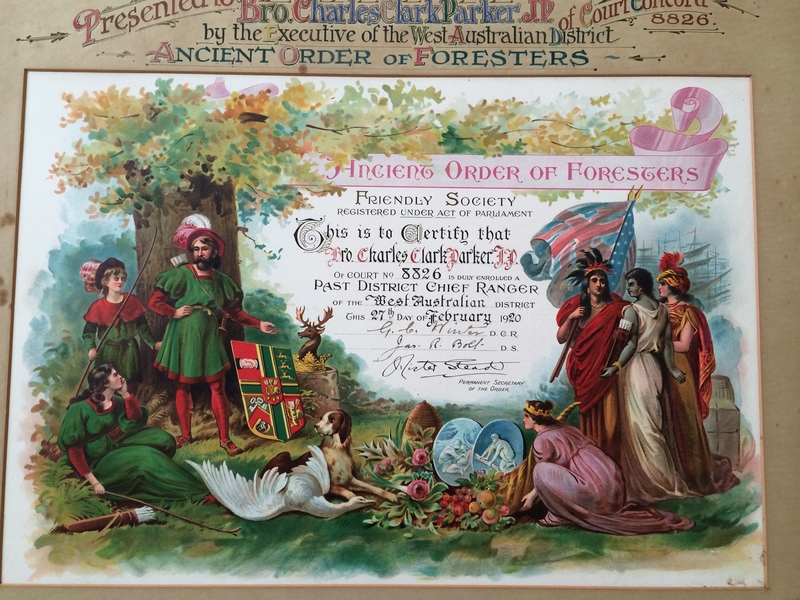 Charles’ Certificate for the Ancient Order of Foresters 1920. In February 1920 Charles becomes a member of the Ancient Order of Foresters. From a later death notice of Amy’s mother we find that the two children are Iris May and Ernest Garfield Clark. Charles and Amy remain in Fremantle, West Australia for the rest of their lives, with Charles working as an accountant he also becomes a Justice of the Peace. The final resting place of Charles, Amy, and their children John and Iris. 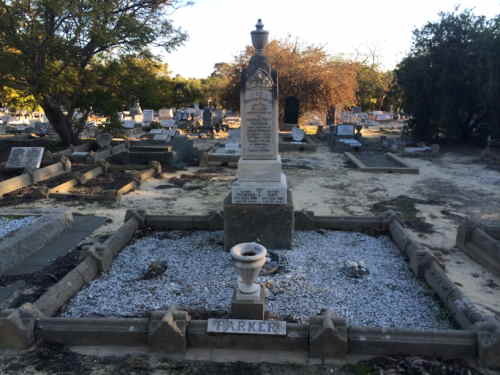 In 1956, in Perth, West Australia Charles dies, aged 79 (Death Certificate number 945).